Famous Private Security Services Agency Blackwater which has a very bad image has done a new Security contract with US in Afghanistan of 120 Million Dollars. This time Blackwater has done contract with US with its new name Xe. Blackwater got a bad image when it was found involve in doing many civilian killings in Iraq and Afghanistan after which it changed its name to Xe. Blackwater has done many secret operations till now and is involved in killings of many innocent people in Afghanistan and Iraq. According to many Analysts it is also present in Pakistan. 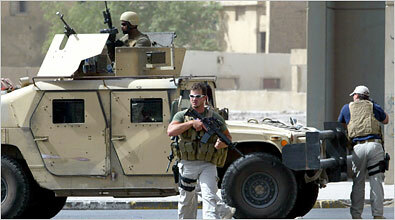 In new contract with US Blackwater will operate in Mazar Sharif and Harat and will do security of American Consulates.